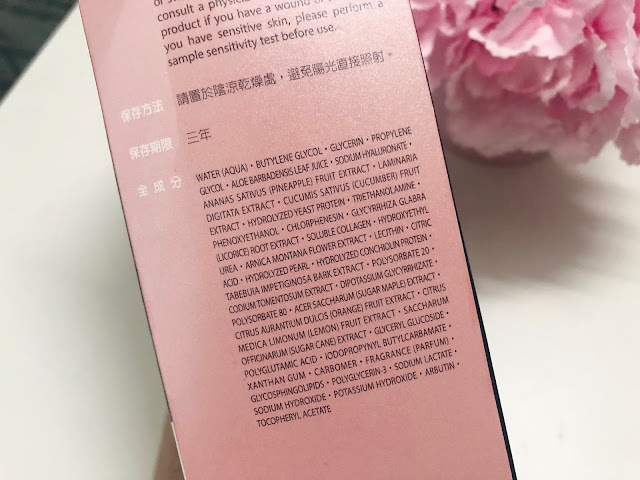 My Beauty Diary is one of the Taiwanese sheet mask that I like and tried a few times (but I always forgot to review it on my blog haha). When I got these masks, I was so excited to try since I haven't tried these yet. I got the Black Pearl Brightening Mask (black box) and Natto Fermented Moisturizing Mask(yellow box). 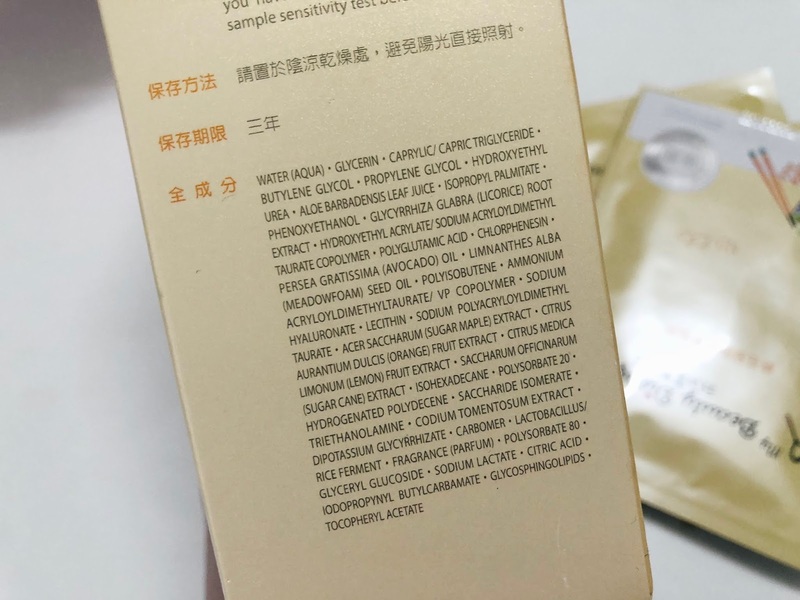 This mask is upgraded with tinysome to enhance essence penetration so that it can optimize our skin to absorbs all the benefit. 1. After cleansing, unfold the mask, remove the white plastic and place it over you face for 20-30 minutes. Do not use it the whole night. 2. After removing the mask, if there is remaining essence, gently massage it into your skin with your finger tips. Sometimes I slather the remaining essence around my neck area, elbow and knees. It is up to you. 3. Do not wash off the remaining essence on your face. After it is absorbed, continue with your normal skincare routine. I normally would just apply my moisturizer and I'm done! Please place the product out of reach of children to prevent swallowing. If there is discomfort or swelling after use, please stop using and consult a physician. Please do not use this product if you have a wound or swelling. If you have sensitive skin, please perform a sample sensitivity test before use. It contains 23ml of essence. When I removed the mask, the essence is quite a lot and dripping. This fit is quite good around my eyes, nose and mouth area. I like how there are slits around eyes and between the chin and cheeks for nicer fit and easy adjustment. Black Pearl extract comes from black pearls grown in the ultra clear and clean seas of Tahiti. Through hydrolyzation, the pearl extract is rich in vitamins, minerals, and amino acids to fully immerse skin in deep moisture while removing dullness and tiredness, revitalizing the skin to its youthful, bright complexion. As a result, skin is clear and bright, with a refined and delicate texture for an extended flawless, beautiful look. It contains aloe vera (for soothing), sodium hyaluronate (for hydration), blue-green algae, arbutin (for brightening). My skin feels plump and hydrated after using this mask. I also notice a brightening effect. It is really comfortable and didn't cause any irritation for me. Plus point, it has no alcohol in it so yay! Natto was supposedly invented when cooked soy beans were placed in hay or straw kept at a constant temperature until it becomes viscous and gives off its signature aroma. My Beauty Diary has used Taiwan’s highly developed natto fermentation technology to produce a 3D natto ferment. Rich in isoflavones, natto has properties such as soothing, immersive hydration, and slowing signs of aging. The plentiful polyglutamic acid locks-in moisture in the deeper layers of skin for intense moisturization and hydration. It contains aloe vera (for soothing), sodium hyaluronate (for hydration), blue-green algae, licorice root extract (brightening), rice ferment. Similar to the Black Pearl, my skin feels plump, supple and hydrated after using this mask. You can get this from all SASA and Guardian nationwide. In conjunction with black pearl 10th anniversary, if you purchase EX+ MASK, you can get 1 piece of black pearl mask. Price: RM47.08 per box (8 pieces). That's all. Hope it helps. Thanks for reading!